I'm really leaning towards Big 4 patterns lately. I've been practicing seeing beyond the picture on the pattern envelope, as lets be honest, the Big 4 releases don't always hit the mark on first look. 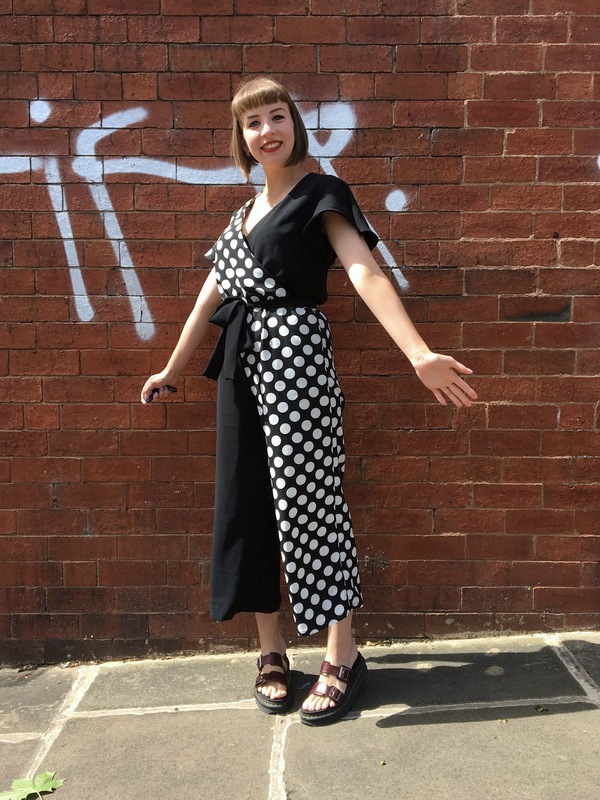 But the Simplicity 8608 stood out as the picture is... surprisingly nice - and there are a whole bunch of versions on Instagram that suggest other makers feel exactly the same! 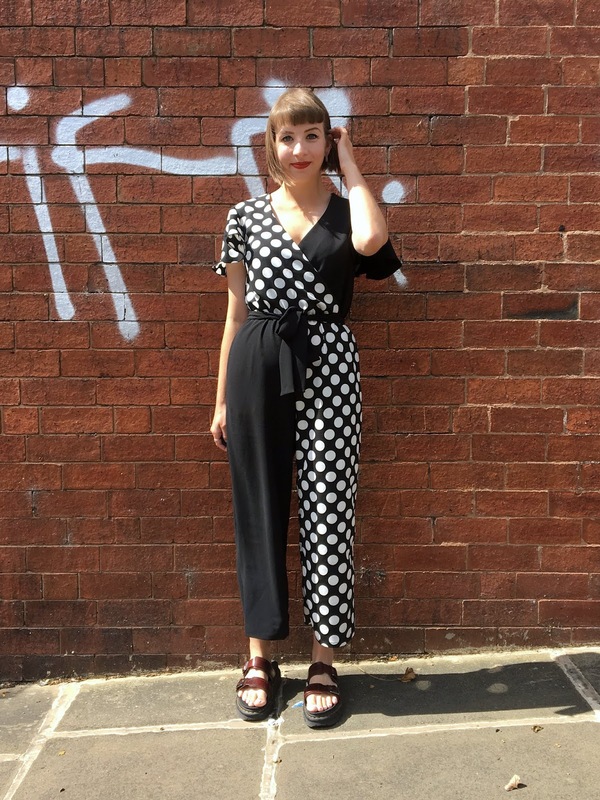 As an all-in-one lover, it was always going to be View D for me; a wide-legged, faux wrap jumpsuit with short flounce sleeves, but I'm actually pretty fond of all the views. 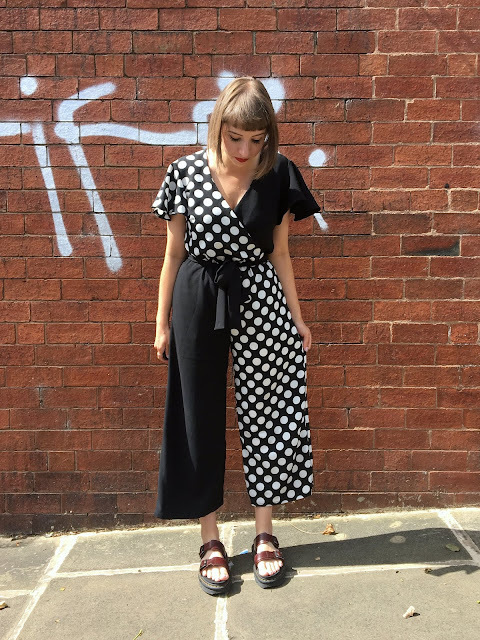 In the absence of the neckline frill (which I was worried might be a little too fussy for me), I opted for the ultimate, all-out contrast fabric pairing. Working out the contrast cutting and making sure each piece was cut with the right right side/wrong side totally hurt my brain. Cutting out in 2 different fabrics also took twice as long, but I think the end product was well worth the extra planning and effort. Other than making it more difficult for myself though, the pattern prep is generally very straightforward! And checking I got it right! Despite my measurements aligning more closely with a size 14, I cut a 12 as the pattern has a lot of ease. What I didn't perhaps take into account was that some of the bodice ease was built in to allow for taking it on and off (the pattern isn't meant to require any fastenings), but to be blunt, it is completely unrealistic to make this pattern without a zip - Simplicity what were you thinking?! I was forewarned by a kind Instagrammer that a zip might be necessary, and after sharing my finished jumpsuit, other people have said exactly the same - only a contortionist could make their way in and out of this garment without one! 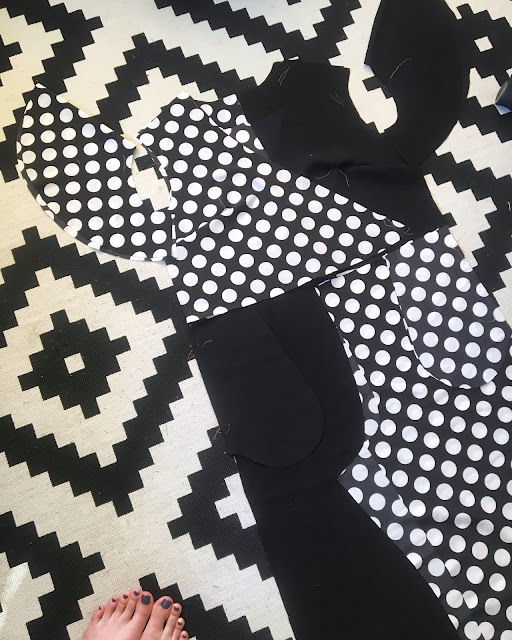 Luckily, in using the contrast fabrics, I'd already split the back piece rather than cutting on the fold, so when I ambitiously attempted to make it as directed - it wouldn't even go down past my shoulders - it was just a case of unpicking the centre back seam. Carrying the contrast through to the back! I could have gotten away with a zip on just the upper half of the bodice, but instead inserted a concealed zip that runs the full length of the back (22") to avoid any additional stress on the elasticated waist when taking it on and off. 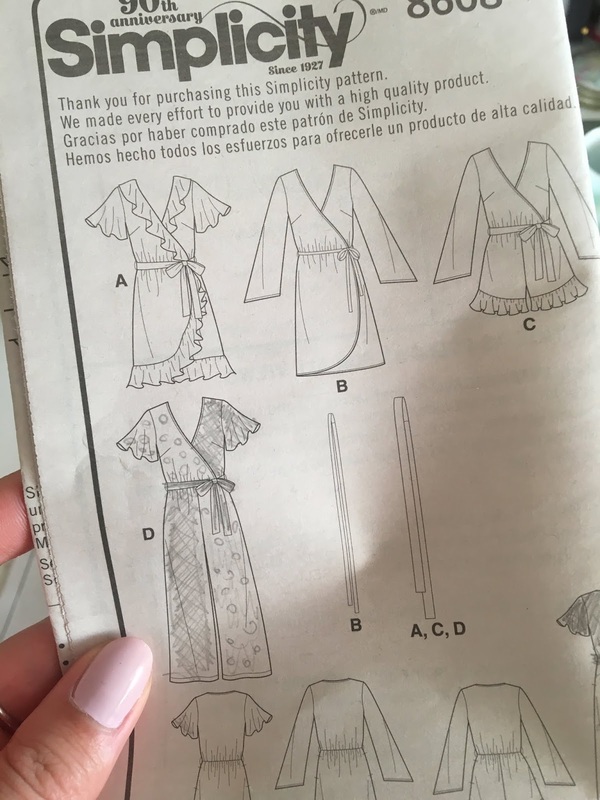 Other than that quite big hiccup, the instructions were really easy to follow - is it just me or are Big 4 instructions getting better?! - and the whole construction only took a day. The bodice faux-wraps across the front, and you sew a channel in the waist seam allowance to thread a skinny bit of elastic through for a closer fit. I guess the tie belt could be optional, but I prefer mine worn with it as it pulls together all of the contrasting pieces. The neckline sits a little wide for me, so I would probably adjust the shoulders if I make this pattern again - securing the pieces together at the bust did help a little, but I broke the stitches on the first wear! The overall fit is perfect for me, but it's worth noting that there isn't a great deal of depth in the body - I'm 5ft 6", but taller ladies may want to consider lengthening it. The circle sleeves are more feminine than I'd normally go, but I really like the movement and hang of them. 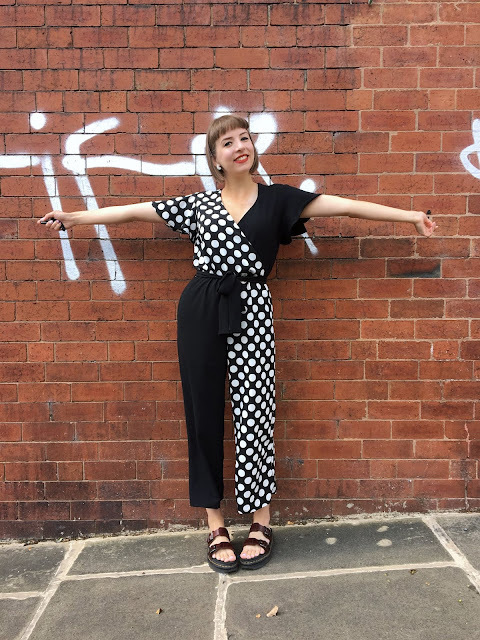 The black crepe is slightly heavier and has more bounce than the polka fabric and annoyingly, the hem curls to the right side, but this jumpsuit was made for moving/dancing so hopefully no one will notice! 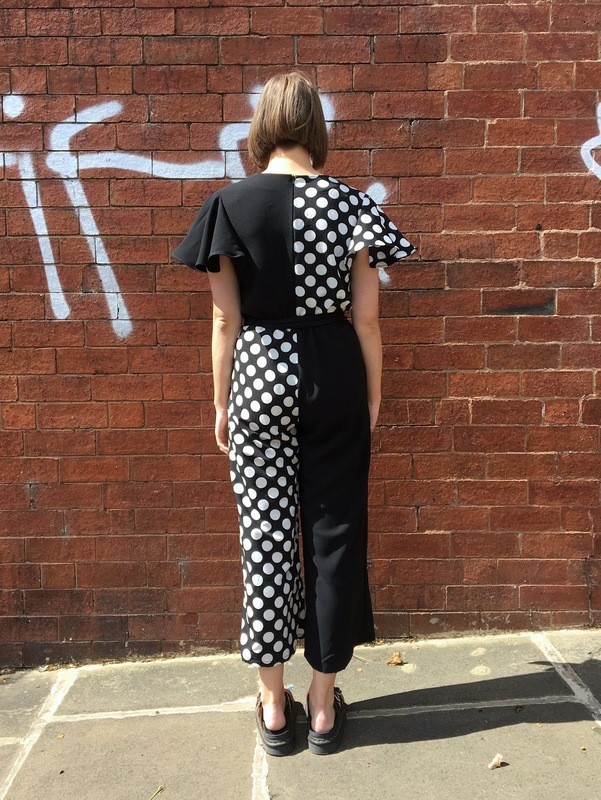 Another 'oops' moment with the sleeves was being too lazy to change my overlocker threads from cream. The inside seams of the sleeves become visible with movement so I had to emergency colour the overlocker stitching in with black sharpie! I honestly think this is one of the best things I've made in ages - maybe ever? - but then I say that about nearly all of my latest makes. 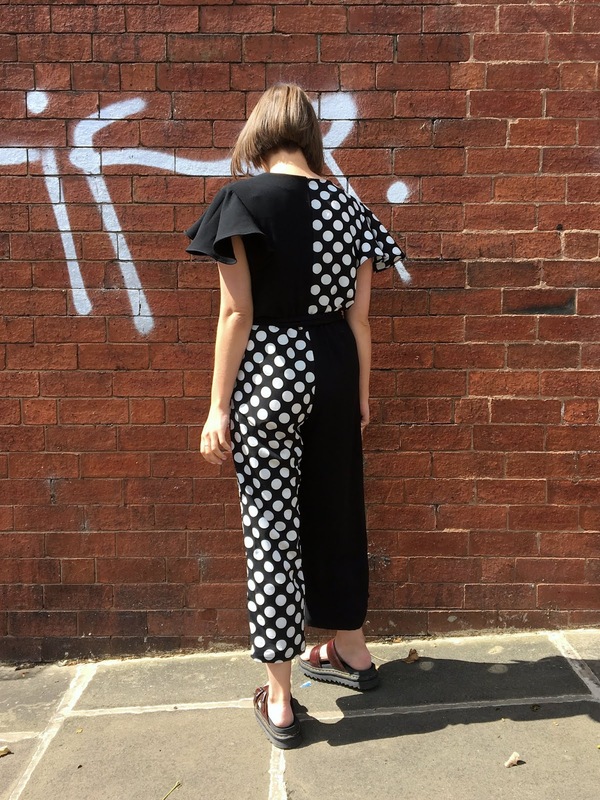 It definitely brings back fond memories and fills the gap left by this old favourite polka jumpsuit which no longer fits! 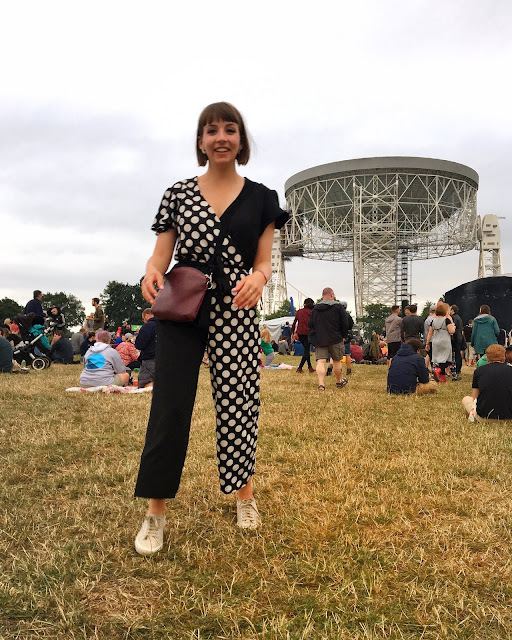 I'm particularly proud of how well the contrast fabrics turned out, and I feel very much encouraged to experiment further with this in future makes (a potential for #sewingleftovers)! It might not look like practical festival attire, but it had it's first turn in the field at Bluedot the other weekend and was greeted with some lovely compliments. 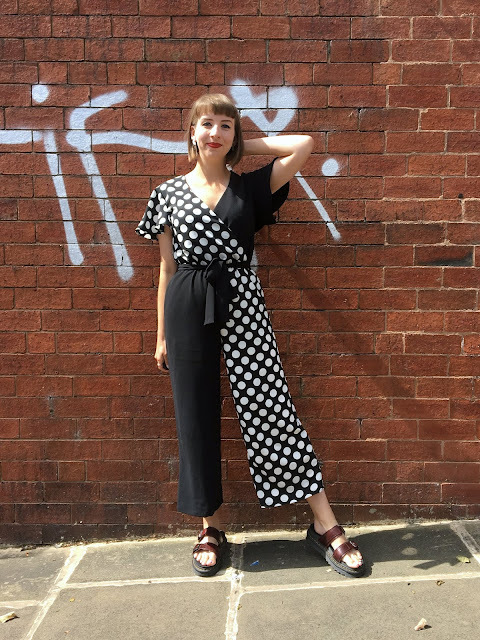 I know I'm not the most practical dresser, but in my defence, the jumpsuit is much easier to get on and off with the zip and more importantly, it has pockets! I also wore it with heels to a recent work event, so I can definitely seeing it getting wear on all occasions! 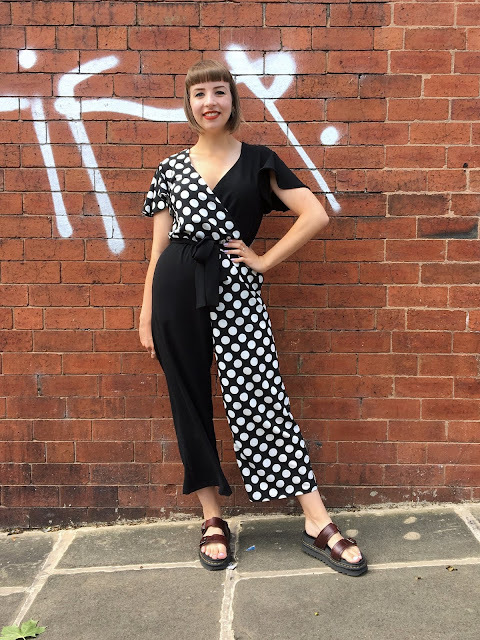 I really love how this pattern turned out and I can definitely see myself making a lengthened version of View A if I can find the right fabric - a solid colour or a minimal graphic print maybe? I'd definitely recommend the Simplicity 8608 to makers of pretty much all abilities as it's such a great and versatile pattern, but PLEASE remember to include a zip! I love this Shauni! 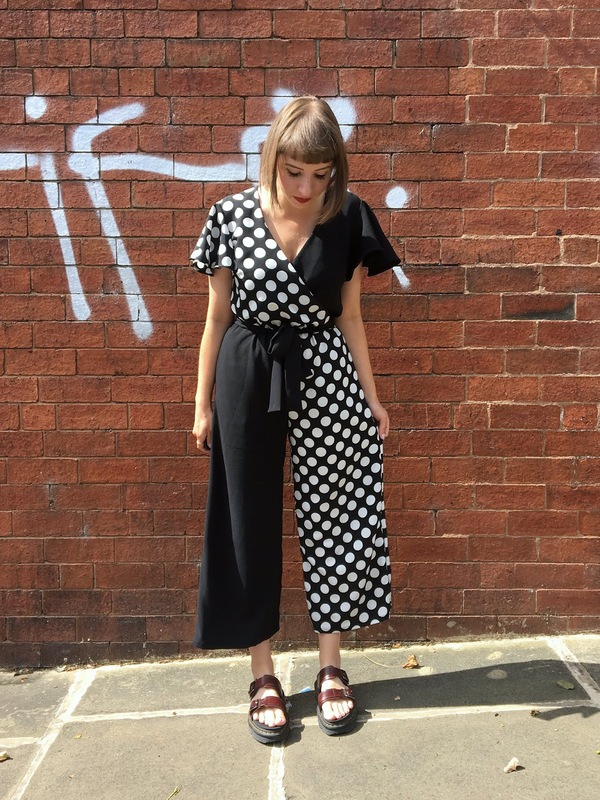 The blocking effect of the two fabrics is soooo fab! This looks great! I love the diagonal different fabrics. Love it! Maybe I missed it, but what kind of fabrics did you use (what material?)? Still struggling with picking out the right fabrics for the right projects. Thanks! Ah you look like a modern Harlequin! It's awesome!! TELL ME, IS THE SEAM ALLOWANCE INCLUDED? Thank you. Yes seam allowance is included!